Whether you’re looking for ceramic, porcelain, marble, granite, or tumbled stone design ideas, Lima Ceramic Tile has what you need. We’ve been importing fine European ceramic and porcelain tiles for more than a decade now. Customers from Stamford, CT; Darien, CT; and Greenwich, CT have put their trust in us for the best pieces of marble, granite, limestone, and glass for their remodeling projects. Customers are welcome to visit our expansive showroom to peruse our vast selection of tile, borders, and other accessories. We have everything you need for specialized home remodeling projects. You can find glass mosaics, Mexican tiles, all kinds of flooring, glass tiles, marble, limestone, glazed and unglazed tiles, and much more. Our customers include retailers and wholesalers who know they’re getting the best prices in the area from us. Lima Ceramic Tile stays up-to-date on the latest styles and trends emerging from the European tile industry. We research which styles are coming from the finest manufacturers in Europe and work to add them to our inventory. We make sure to carry fine ceramic, natural stone, and glass tiles that can meet the style and ambiance you’re looking for. We have traditional pieces and more modern, contemporary options straight from Europe. Trust us to find whatever you need to remodel your home or place of business. You’ll be able to impress guests, customers, and clients with your redesigned kitchen or bath. We can help you create the kitchen or bath of your dreams in your own style. Call us at (203) 325-9577 to speak with one of our knowledgeable experts. We can help you find the right tiles to fit your style and your budget. 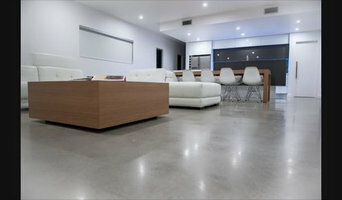 Marble.com-All Granite & Marble Corp.
We Emphasize the Human Factor With 12 years of tile and construction experience, owner Ana Menendez realized a human factor was missing in other tile showrooms and throughout the industry. Her goal is not to just sell tile but to fit the right design, the right budget, and provide the support needed to complete the job. She wants her clients to look back at the finished product, live in it and say “I love what I did” and “I am so happy with my choices”. Ana has built a reputation of caring for her customers needs. Hence Casa Blanca’s motto of “We’ll take care of you”. Recommendations: Bring a floor plan or drawing of the project layout so we can best select what will flow best in that environment. A wood sample of your kitchen cabinet or bathroom vanity as well as style would also be helpful, the style and color palette will influence the direction of tiles selected. Pictures from Houzz, a magazine, a fabric swatch or your design influence will guide us in the right direction. Visit Casa Blanca Tile and Stone, the showroom for all hard surface projects. Allow our 3500sf Showroom to inspire you. A Message from Ana I love working with the general public and networking with the wonderful wide range of professionals I come in contact with. My new venture is opening up my own Hard Surface showroom, Casa Blanca Tile & Stone, Inc. Showcasing pre-finished woods, bamboo, cork, natural stones, ceramic, porcelain, glass, metal…you name it. Hi-lighting recycled and green products. Big budget or small I will help YOU design your vision and dream environment. We will take care of you”. Hope to see you soon. Rico Marble & Granite is one of the oldest and most trusted fabricators from New York City to Southampton. We are a team of highly experienced craftsmen and designers. We fabricate & install kitchen countertops, bathroom vanities, barbecues, fireplaces, tables; delivering an amazing & timely job at affordable prices. At Rico Marble & Granite, we know that a beautiful countertop will increase the value of your home and make your space look perfect. Contact us at (631) 673-5800 to schedule your installation to give your space a like-new look at a great price. Because we are a fabricating factory, we respectfully request that you call us to set up an appointment for selection in our showroom and/or slab yard and learn about our discount and remnants. Corrado's Design Center is a family, veteran-owned Showroom located in Dutchess County, New York. We provide an extensive assortment of porcelain tiles, marble, stone, mosaics and glass products for residential and commercial projects. 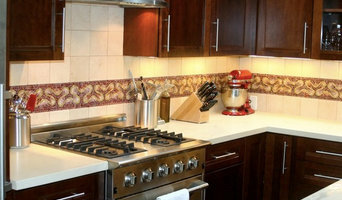 We are also Distributors of Tile and Stone servicing New York and Connecticut. 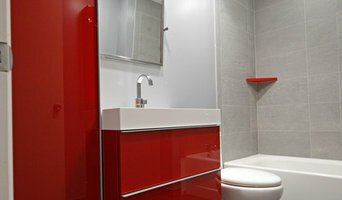 We import several hundred tiles and marbles directly from our Italian and other European factories. Our showroom offers free design services by experienced tile experts for Master bathroom tile, kitchen back splashes, Marble/Granite and Quartz counter-tops and Pool tile. We also offer trade workshops in house, as well as "Lunch and Learns" for Architects and Designers. We carry a wide range of products with competitive prices and work exclusively with the best from tile to cabinets and counter-tops, we have what you need for your next project. Please contact our showrooms for consultation. 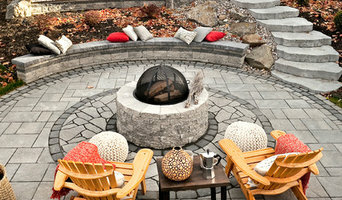 At NJTileInstallers, we believe in maximizing the beauty of your home with detailed installations. To name a few, we pride ourselves on complete bathroom remodels, kitchen and foyer back splashes, and repairs. With over 20 years of experience, we go above and beyond to ensure each job is cared for with the upmost quality and client satisfaction. Prolonging the life of your tiles is one of our main priorities: Leaky showers, tubs, or shower walls, we understand the process of damage control. We'll reverse and restore damaged interior wall surfaces and structures to keep your home happy and healthy. Whether it's a quick rush or a planned project, we strive to provide the best business relationship through our responsiveness, knowledge, and vision. Elite Floor and Stone is a Father and Son owned flooring company with over 35 combined years of experience in the industry. We install high-end custom designs as well as some more budget friendly options. We work with natural stone, exotic and native hardwoods, laminate, vinyl, and carpet. Ask for a free in home or online estimate and ask to see our samples. Based in Orange County, we service most of the Hudson Valley. We accept check, cash, and all major credit cards. We offer a 1 year warranty on all labor. At Elite Floor and Stone , our company is based on the belief that our customers' needs are of the utmost importance and our team is committed to meeting those needs. We welcome the opportunity to earn your trust and deliver you the best service available. We pride ourselves on keeping up to date on new techniques, products, attention to detail, and customer service. No job is too big or too small for our experienced team. Call today for a quote. PORCELANOSA, a global leader in the innovation, design, manufacture, and distribution of Tile, Kitchen, Bath, Hardwood, Krion Solid surface products and more. Porcelanosa was founded over 40 years ago in a small village by the Mediterranean Sea in Castellon, Spain. Still operated by the family who founded Porcelanosa in 1973, we've been providing architectural and design solutions to consumers and the A&D community with unparalleled innovation, quality, and service. Come to one of our showrooms today and experience luxury at its finest. Our exclusive selection of Tile, Kitchen, Bath, Hardwood and more products are used extensively in large-scale vignettes intended to evoke elegant residential and commercial ambiances designed to delight and inspire our clients. An unmistakable attention to detail and an unexpected combination of distinctive materials, colors, textures, and shapes affords an aesthetic versatility to create living spaces that suit each discerning homeowner's unique sense of comfort.